Breakthrough! Layerless 3D Printing! 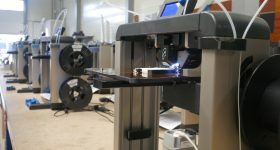 25-100x Faster Prints! You see the timer there? That is in minutes!!! 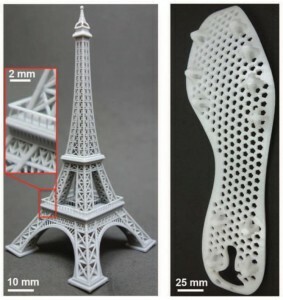 Carbon 3D materialized out of nowhere at the TED conference yesterday and introduced a whole new approach to polymer-based 3D printing that might in fact be the leapfrog innovation we’ve all been hoping to see come into existence. 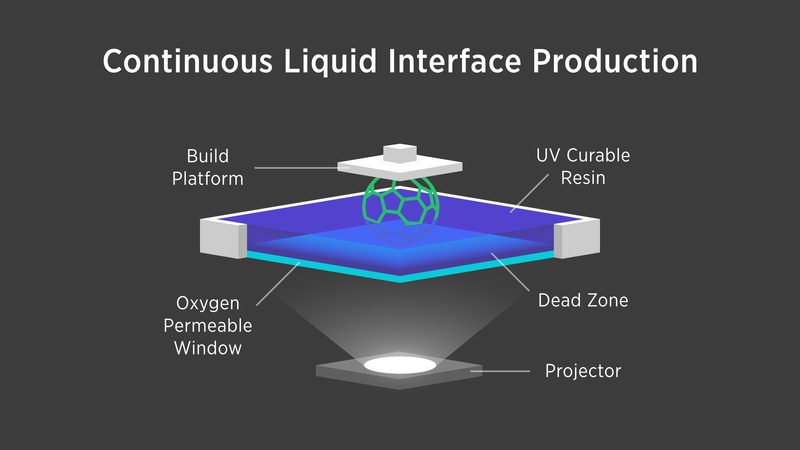 The new Continuous Liquid Interface Production technology (CLIP) uses light and oxygen to “continuously grow objects from a pool of resin instead of printing them layer-by-layer.” Because I know that everyone is going to be wondering immediately how much it costs: they didn’t release that information yet. 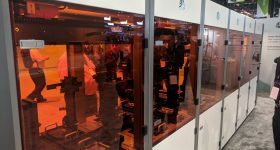 Dr. Joseph DeSimone, CEO and Co-Founder of Carbon3D, said, “Current 3D printing technology has failed to deliver on its promise to revolutionize manufacturing. 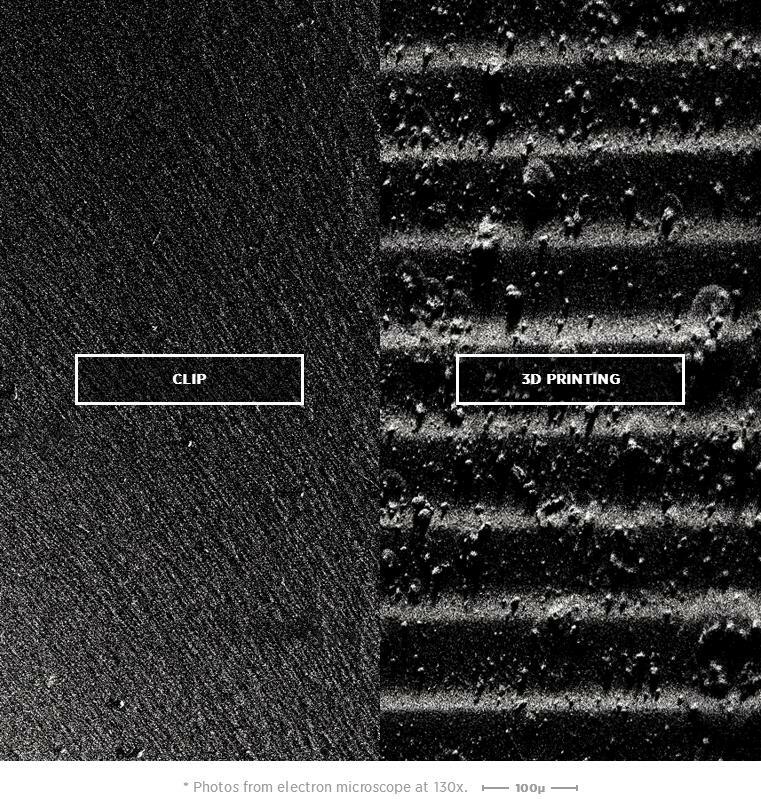 Our CLIP technology offers the game-changing speed, consistent mechanical properties and choice of materials required for complex commercial quality parts.” Dr. DeSimone is a phenomenal scientist and entrepreneur and the recipient of numerous awards, including the Lemelson-MIT Prize for inventors and the 2009 NIH Director’s Pioneer Award. Dr. DeSimone is also credited with over 100 issued patents and nearly 300 published articles. 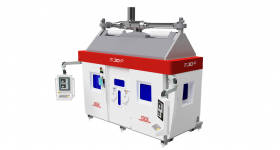 We know that 3D printing, as it exists today, works by printing or curing one layer at a time. 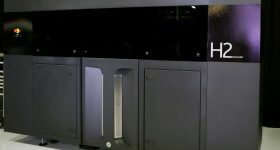 Instead of this layer-by-layer approach, the Carbon 3D printer uses “a tunable photochemical process.” What this means is that, by carefully controlling the interaction of UV light, which creates the photopolymerization, and oxygen, which inhibits the reaction, CLIP continuously grows objects from a pool of resin at speeds 25-100 times faster than traditional 3D printing! The key component is a special window that is both transparent to light and permeable to oxygen, similar to a contact lens. 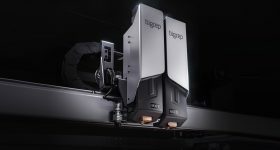 By balancing the amount of oxygen that comes in and out of the window, CLIP creates a “dead zone” in the resin pool that is only tens of microns thick where it is impossible for photopolymerization to occur. Then a series of “cross-sectional images of a 3D model are played like a movie into the resin pool from underneath” and the physical object just emerges (like the T-1000 from Terminator 2) from just above the dead zone. 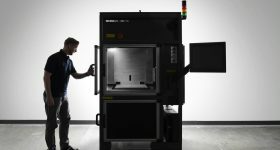 What’s truly phenomenal about this approach is that it seems to have created a technique that yields parts with the structural integrity of injection molded parts, at least according to Carbon 3D. 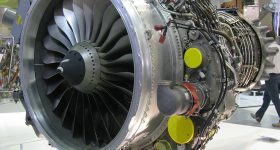 The mechanical properties would often vary depending on the direction of the prints layer-by-layer. I haven’t seen it up close, and I’ve reached out to find out more information, but Carl Bass mentioned this at REAL 2015 (without mentioning the company’s name – to my chagrin). If what they say is true, then this is a breakthrough. 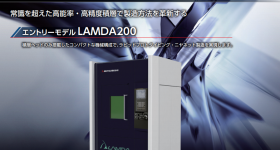 The new CLIP could solve two of the three big obstacles (speed, price, reliability) to widespread adoption, as it could produce far more consistent, reliable and predictable mechanical properties. It’s smooth on the outside, and totally solid on the inside, which alone is a game-changer. 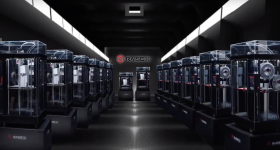 In near perfect stealth-mode, Carbon3D has raised $41 million in funding since 2013, starting with Sequoia Capital, with Series A financing in 2013, and with Silver Lake Kraftwerk for their series B round. 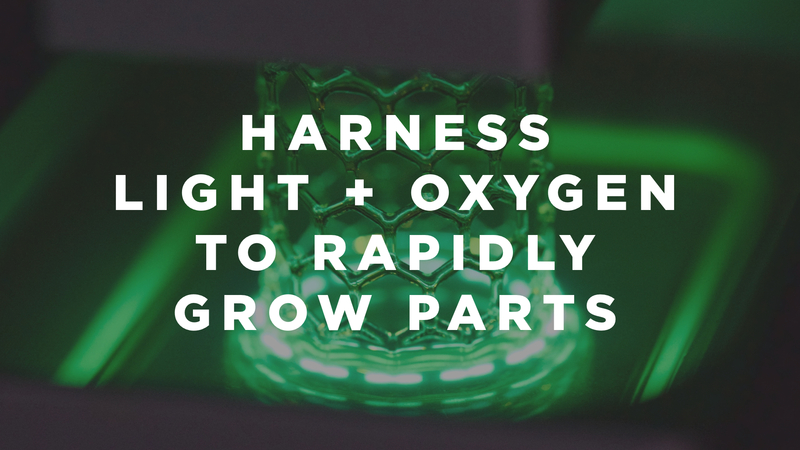 Some of the key figures behind this major 3D printing breakthrough are: Professor Joseph DeSimone (Chancellor’s Eminent Professor of Chemistry at UNC), Professor Edward Samulski,(Cary C. Boshamer Professor of Chemistry at UNC) and Dr. Alex Ermoshki (CTO and Co-founder). We’ll keep you posted as the story develops!